NEW YORK, Jan. 22, 2019 /PRNewswire/ -- Genpact (NYSE: G), a global professional services firm focused on delivering digital transformation, today announced that Ajay Agrawal, the Geoffrey Taber Chair in Entrepreneurship and Innovation and Professor of Strategic Management at the University of Toronto's Rotman School of Management, has been appointed to its Board of Directors. The appointment is effective immediately. "It is an honor to have Ajay join the Genpact Board," said Robert Scott, Chairman of the Board, Genpact. "His extensive experience in the economics of machine intelligence will be extremely valuable to Genpact. We look forward to his contributions." A renowned academic for over 20 years, he founded and currently serves as academic director of the university's Creative Destruction Lab (CDL), where he oversees operations across multiple sites in Canada and the United States that help incubate start-ups employing artificial intelligence (AI) and other technologies to address real-world problems. Professor Agrawal serves as a Research Associate at the National Bureau of Economic Research in Cambridge, Mass. He is co-author of the best-selling book, "Prediction Machines: The Simple Economics of Artificial Intelligence," which seeks to explain the role of AI in business and government. Professor Agrawal is also the co-founder of Kindred, a company that makes AI for robots. Kindred was ranked 29th on MIT Technology Review's 2017 list of the 50 smartest companies in the world. 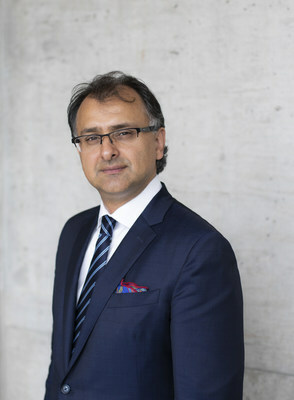 Professor Agrawal holds a PhD in strategy and business economics, an MBA, and a Bachelor of Applied Science degree, all from the University of British Columbia. "We are excited to have Ajay join our board. His impressive track record of leading an incubator that has spawned numerous companies, combined with his research and thought leadership around AI and its business and economic impact, will be a great asset to our Company," said NV 'Tiger' Tyagarajan, president and CEO, Genpact. Genpact (NYSE: G) is a global professional services firm that makes business transformation real. We drive digital-led innovation and digitally-enabled intelligent operations for our clients, guided by our experience running thousands of processes primarily for Global Fortune 500 companies. We think with design, dream in digital, and solve problems with data and analytics. Combining our expertise in end-to-end operations and our AI-based platform, Genpact Cora, we focus on the details – all 87,000+ of us. From New York to New Delhi and more than 25 countries in between, we connect every dot, reimagine every process, and reinvent companies' ways of working. We know that reimagining each step from start to finish creates better business outcomes. Whatever it is, we'll be there with you – accelerating digital transformation to create bold, lasting results – because transformation happens here.